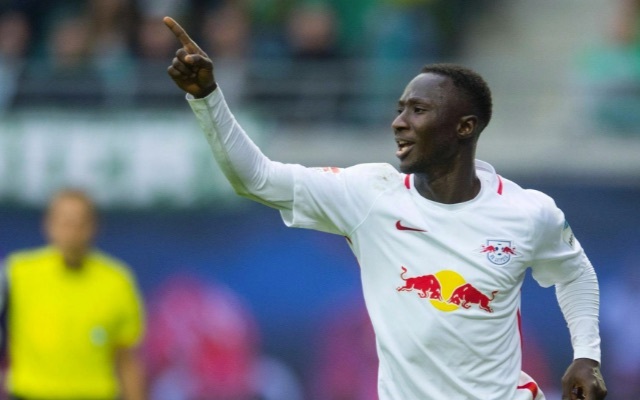 A frustrating thorn has been uncovered amid the growing optimism amongst Liverpool supporters that a deal can be agreed to bring Naby Keita to Anfield this summer. Reports on Thursday fuelled an excitement amongst Reds as it was suggested Keita has indicated a desire to leave RB Leipzig in the transfer window and that a move would be possible were his £70million price-tag met. Oliver Hartmann, chief reporter and Leipzig correspondent for German magazine Kicker, has since rebuffed talk of the midfielder moving to Liverpool. “No way” was also Hartmann’s reply when asked if Leipzig would agree to sell the midfielder to Liverpool. Conflicting reports and ever-changing circumstances have served as a common theme in what always promised to be a complicated transfer window for Liverpool. A more calculated and cautious approach following the controversial pursuit of Virgil van Dijk means Leipzig’s firm stance threatens to repel Klopp from making any official approach. It seems unlikely a move will be sanctioned for Keita unless the club’s hierarchy has good reason to believe the 22-year-old is keen on a move and that Leipzig are happy to take offers. Coverage of Liverpool’s transfer plans has made it no secret that the Guinean sits high on Klopp’s wishlist, with his all-action, box-to-box qualities matching everything the German is looking for in a new midfielder. It would be interesting to see what would happen were the Reds to meet the £70million asking-price for Keita and give Leipzig a decision to make. With a proposed pursuit of the Bundesliga start showing signs of developing into a long-running saga, the club’s immediate attention could turn to Arsenal’s Alex Oxlade-Chamberlain with Anfield having been identified as the wantaway midfielder’s most likely destination.